We can use “Mobile vision API” to find objects in photos and videos. Currently it supports face detector, barcode reader and text detectors. In this tutorial, we will learn the basics of face detection concept and how we can implement face detector on Android Applications. Face Detection : Face detection is the concept of locating faces in photos or videos automatically. Face Recognition : To determine if two faces are of the same person. Face Tracking : Face Detection on Videos i.e. to track a face of a person in consecutive video frames. Note that Face Tracking is not a form of Face Recognition. 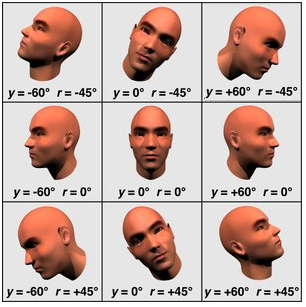 Face Orientation : Before going in details about “face orientation”, let’s get familiar with “Euler Angles”. What are Euler Angles ? “The Euler Angles are three angles introduced by Leonhard Euler to describe the orientation of a rigid body with respect to a fixed coordinate system“(source : wiki). N : ( Known as the line of nodes ) is the intersection of the plans xy and XY. 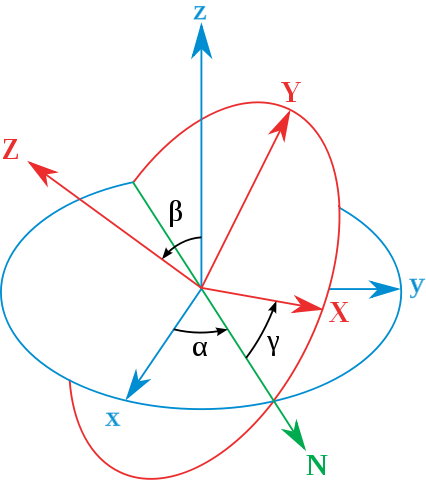 β : angle between z and Z axis. The face API uses Euler Y and Euler Z for detecting faces. Euler Z is reported always. Y is available only if “accurate” mode is used in the face detector. Another mode is “fast” mode which uses some shortcuts for the detection. Landmark is a point of interest within a face. e.g. eye, nose base . Using classification, the face api detects a certain facial characteristic. Currently ‘eyes open ‘ and ‘smiling’ classifications are supported in android. We will develop one simple app using face api . This project is also shared on Github . 2. Create one custom View. setData method will be used to set one bitmap image and list of faces detected on the image. Whenever onDraw method is called and if the faces inside the images are detected , it will call drawBitmapToDeviceSize method first to draw the provided bitmap . Finally drawFaceDetectionBox will be called to draw one box on each of the detected faces. 3. 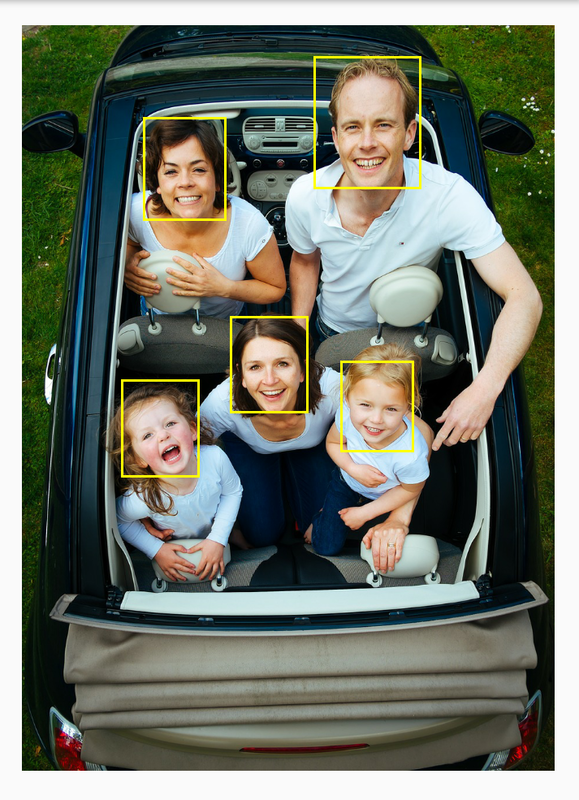 MainActivity will first detect all faces using FaceDetector and set the faces and bitmap to our above custom view. Note that if face detection is used for the first time on a device, PlayService will first download some additional libraries. Hence detector.isOperational() check is there to make sure that it will work without any problem. Try to run this project by yourself . If the image is not appearing , make sure that internet is active and you have at-least 10% free device space. ( as mentioned before, first time it requires to download some external libs ) . "I am unable to get coordinates for ears, Can you let me know How can I find it?". "[…] on almost all Android devices. We have previously explored how Face Detection works (check details here ). Text Detection is similar to face detection. You can pull the code from Github directly (link) […]".